Bahrain-based Elephant Social, a tech development innovation company, recently topped 160 startups worldwide to compete at a venue in front of Fortune 500 firms, tech journalists from across the world and 14,000+ live audience. Elephant Social has become the only company in the GCC shortlisted to pitch at the world-renowned Web Summit 2018. “Being the only company from the GCC at Web Summit 2018 adds a lot of pressure to the competition, as we want to showcase not only the amazing work my team has done, but also the start up scene in Bahrain,” explained Elephant Social CEO and co-founder Omer A Rana. 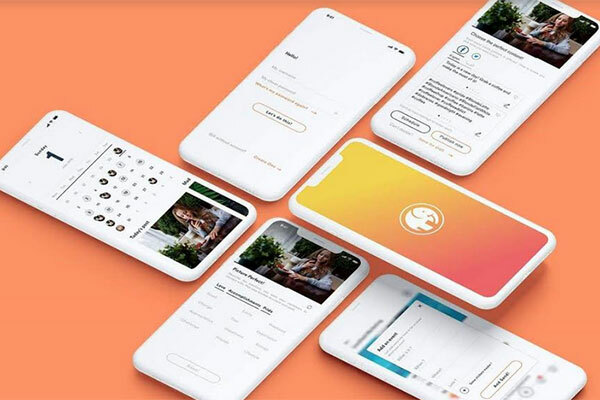 The company has been selected to present its state-of-the-art social media marketing application, Elephant Social; where industry experts will decide who the world’s leading and most exciting start up is. “Web Summit really is an amazing launching pad and I encourage all aspiring tech entrepreneurs to closely follow the tech race to make sure they understand the global market and not just the regional aspects,” Rana said. “Our presence at Web Summit 2018 serves as a stepping stone for Bahrain in the field of technology. It proves that investments made towards technology-development in the Kingdom are paying off,” he added. The company has been developing Elephant Social, to revolutionise the way social media marketing is done. “We have always had a close relationship with Amazon Web Services (AWS), and their constant support has helped us innovate without boundaries. We are also extremely grateful for the constant support we receive from C5 Accelerate, a program supported by Tamkeen, who have been very helpful,” Rana added. Speaking about the invention of Elephant Social, chairman of Elephant Social Dr Khalifa bin Mohamed Al Khalifa explained that the team noticed a major problem in the marketing industry. “Most companies cannot afford access to the relevant knowledge and strategy so we invested in developing several algorithms and propriety technologies, which are capable of solving a host of digital marketing issues,” said Dr Al Khalifa. “Hence we created the application Elephant Social, which can deliver the quality services of a digital agency at price of just $9.99,” he added. Elephant Social will offer its services to the public, following its strategic roll out in March 2019, and will initially target three major social media platforms: Facebook, Instagram and Twitter. “Elephant Social has been programmed with eight functions, each dealing with relevant marketing tasks. This includes a special feature known as Emotos which allows the application to emotionally understand data,” explained Rana. “After the user takes a picture with the application, Emotos algorithms emotionally understand the image and the user’s business. It then suggests content ideas in both: Arabic and English optimised to each platform. Think of the app providing you help with your social media at the exact time you need it, based on your convenience,” he further explained. Elephant Social even allows businesses to get feedback from other users, prior to posting, by anonymously sharing it with the Elephant Social community. “Users can also write captions in multiple languages, something we found people really need where English is not the only language used to talk to their customers,” said Dr Al Khalifa. “In addition, it provides you with regular tips and suggests content based on your situation,” he added. The application further simplifies the process of digital marketing by branding all your posts or images with your logo. “You can even use the application’s polls to benchmark your strategy , get notified about trending local and regional events, create a planner and more,” said Rana. “With Elephant Social, it’s not just about social media; we’re selling convenience. Our customer is at the centre of our journey so our innovations will always support our customers first,” he said. To date, the Elephant Social team has been approached by companies across the globe with regards to the ground-breaking application. “Bahrain is leading the way in the field of technology. Since we started working on Elephant Social, we have received offers from companies in London, Canada, the UAE, Kuwait, Saudi Arabia and Hong Kong among others,” stated D. Al Khalifa. The team believes that their presence at the Web Summit 2018 will provide them with excellent publicity and further leverage with global companies. “We would like to thank the Crown Prince, Deputy Supreme Commander and First Deputy Prime Minister, HRH Prince Salman bin Hamad bin Isa Al Khalifa for creating an ideal business ecosystem in which we could flourish. We would also like to thank Amazon for their knowledge transfer, support, training and advice,” said Dr Al Khalifa.